Many ill-informed non-Muslims question Islaam regarding its Monotheistic nature. They argue that ‘Islam encourages idol worship as Muslims worship a meteorite’ (i.e. the Ka’bah and the Black Stone). 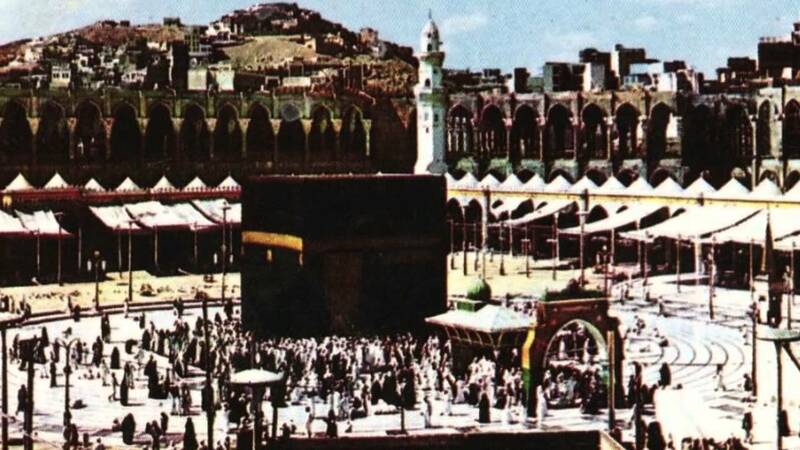 Had he wanted to keep an idol – whether it was the Ka’bah or the Black Stone – the Pagans of his time who also revered the Ka’bah would have been happy to accept his call. Instead he came with a pure unadulterated message of Monotheism, that no created entity is to be worshipped. The only being to be worshipped is the Creator Allaah. When he returned to Makkah victorious, his first action was to destroy all the idols around the Ka’bah. ًWhy do Muslims kiss the Black Stone – is this not idol worship? As Muslims, our following of the Prophet Muhammad (peace be upon him) is such that we seek to imitate everything which he did. One of the final actions the Prophet performed during his last Pilgrimage was to kiss the Black Stone out of respect and honour of the Ka’bah. In honouring our Prophet we also do the same. In no way does this equate to prostrating, bowing or worshipping it. I know that you are merely a stone which can neither bring benefit nor cause harm. Were it not that I had seen the Prophet (peace and blessings of Allaah be upon him) kiss you, I would not have kissed you. Hًe only said this out aloud for others to hear and know that our kissing of the Black Stone is not worship of it, rather it is a sign of our following the Prophet Muhammad (peace be upon him) who was guided by revelation from Allah. Why do Muslims face towards Ka’bah when Praying? The Ka’bah acts as a unifying direction (Qiblah) for all the Muslims to face during their prayer to Allaah, not that the Ka’bah is the intended object of worship. Similarly we perform Hajj (Pilgrimage) for the sake of Allah, and circumbulate around the Ka’bah as it is a unifying direction for all Muslims to head towards. Do the Muslims worship the Sun and moon? The five daily prayers revolve around the position of the sun throughout the day and evening. Muslims offer prayers from sunrise, through midday to sunset and later. This does not mean that Muslims worship the sun. Rather, similar to facing the direction of the Ka’bah, these various times act as a unifying indicator by which Muslims can be united in their times of prayer to Allaah. The same can be said for the Mosques which are termed as ‘Houses of Allah’. This term is given to the Mosques as a form of honour to them, that they are places built and designated for one purpose only, to worship Allah. The Mosques themselves are not objects of Worship, Similar to the Ka’bah and the position of the sun for Prayer times, the mosques are unifying objects by which Muslims congregate in a single place in order to worship Allah. Islam is not a complicated religion; indeed many revert Muslims mention how they accepted Islam due to its simple message which agrees with an intrinsic human belief of one supreme god. Islam calls to the worship of Allah, the Creator who created me and you, the Provider who sustains me and you. At the very core of Islaam is the message of Tawheed; to shun all other objects of worship and instead direct our devotion and worship to the one true god – Allah. He is Oft-Forgiving, Most Merciful and Compassionate. It is not a new message, rather a simple continuation of the oldest message to humanity. Indeed it was the call of Noah, Abraham, Jesus and Moses (may peace be upon them all). If you are a non-Muslim, sincerely searching for the truth, and would like to obtain an English copy of the translation of the Qur’an, please send an email to admin@madeenah.com and we will try to accommodate your needs.